Since 1934 the U.S. Fish & Wildlife Service has administrated the Duck Stamp Act, an FDR initiative that has worked for 80 years to protect wetlands and migratory bird habitat. Since 2013, a small museum in Baraboo, Wisconsin has been doing pretty much the same thing. 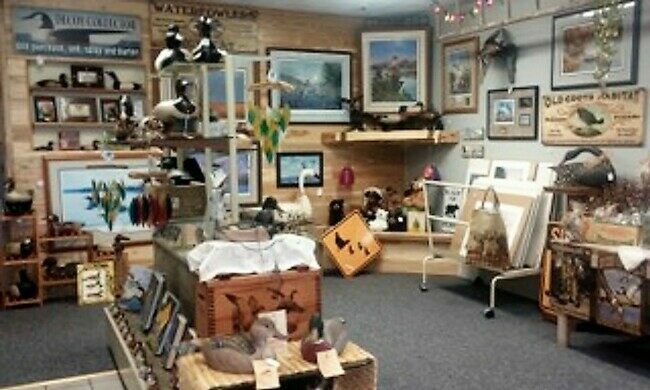 Flyways Waterfowl Museum is the confluence of Nichol and Craig Swenson’s mission and passion. It opened its doors in 2013, but the Swensons have been advocates for native and migratory waterfowl since long before then. 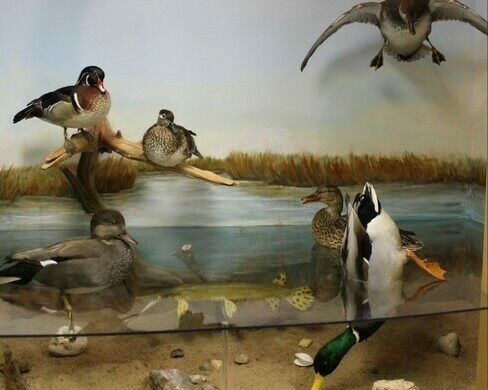 Their displays and exhibits include taxidermy, dioramas, decoys, and dozens of examples of duck calls. There is also a small theater, fittingly called the Duck Blind, that provides a short program to plant you squarely in the middle of the sights and sounds of the great and marshy outdoors. 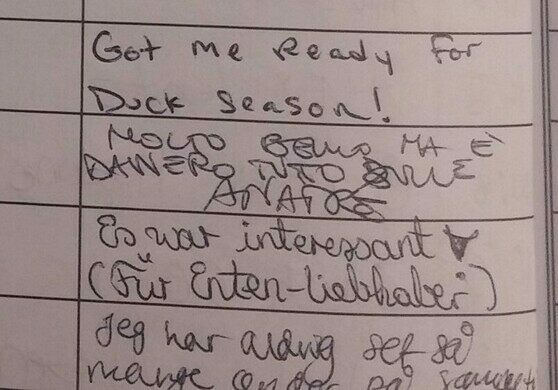 There are also examples of submissions to the annual federal Duck Stamp competition. 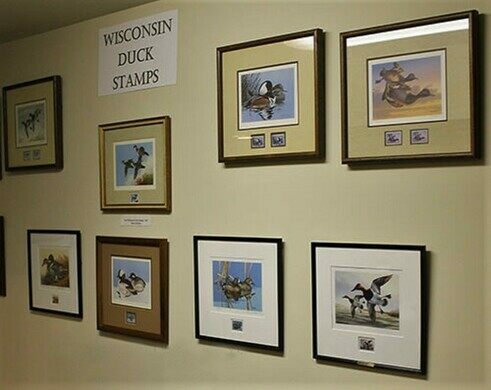 The Duck Stamp goes back to the early days of the Franklin Roosevelt administration, initiated as a way to collect funds from hunters and target the money to the Migratory Bird Conservation Fund. Each year Fish & Wildlife sells the winning stamp as a hunting permit and fund raiser, with 98 percent of the $25 annual fee going directly to the protection of wetland habitat. 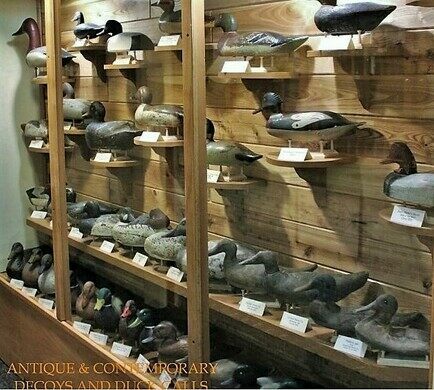 Prized at the Museum is the collection of dozens of duck decoys, both antique and contemporary. 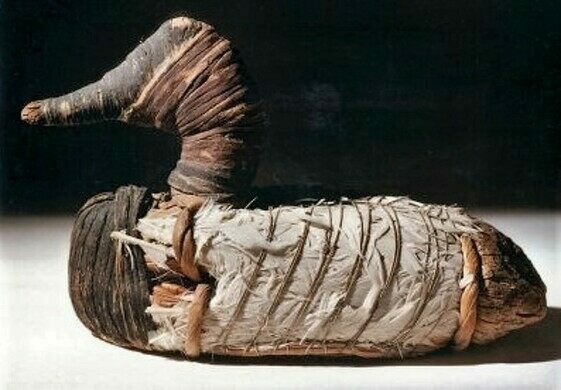 Decoys have been around for thousands of years, pioneered by Native Americans who fashioned their versions out of reeds and grasses. When Europeans started arriving they saw how well the decoys worked, so they picked up on the idea and started carving them out of wood. 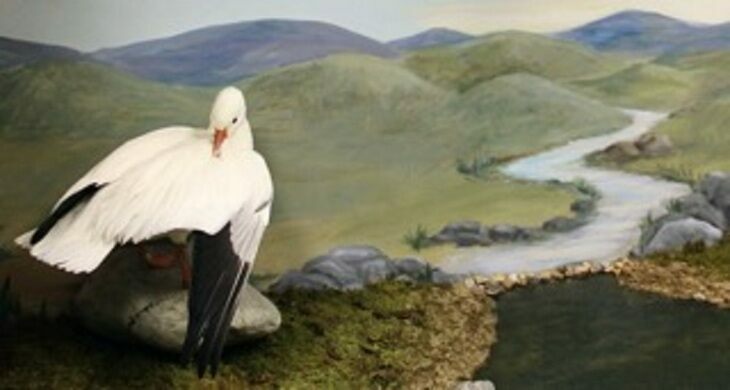 Eventually they added paint, to achieve some remarkably lifelike fake fowl. 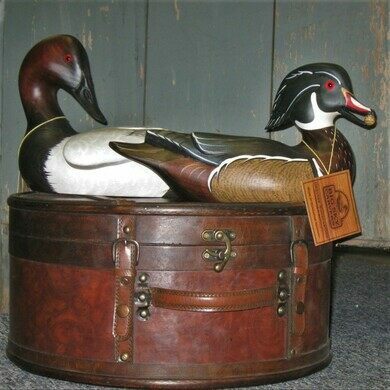 Sometimes it’s hard to tell which of the ducks at Flyways are real (well, stuffed), and which are just really good fakes. The museum is in Baraboo, WI, about 40 miles north of Madison. They are open from mid-May through the end of October, with varying days and hours (see website for details). They don’t keep a regular visitor schedule between November 1 and mid-May, but you can call 608-225-7732 during the winter months and schedule an appointment to visit. Admission is $7 for adults, $6 for seniors, $5 with student ID, and kids under 6 are free. See website for information on educational tours, group sales and ticket discounts. An homage to the pointers and retrievers that have long been a hunter's best friend.